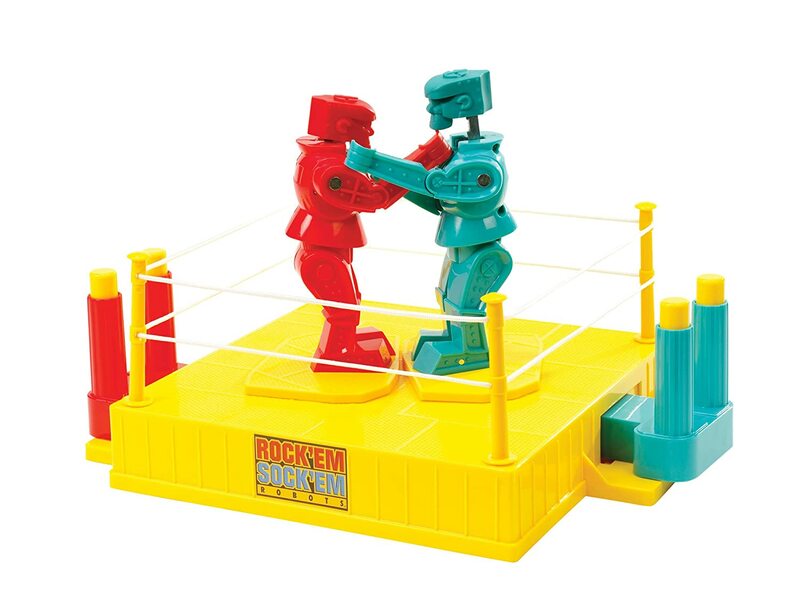 Rock ’Em Sock ’Em Robots were first released in 1964, created by Marvin Glass and Associates (designers of Lite Brite, Operation, Simon, Mouse Trap and more) and produced by Louis Marx and Company, but have been made most recently by Mattel. It was probably the first time kids could interactively simulate beating up their buddies. 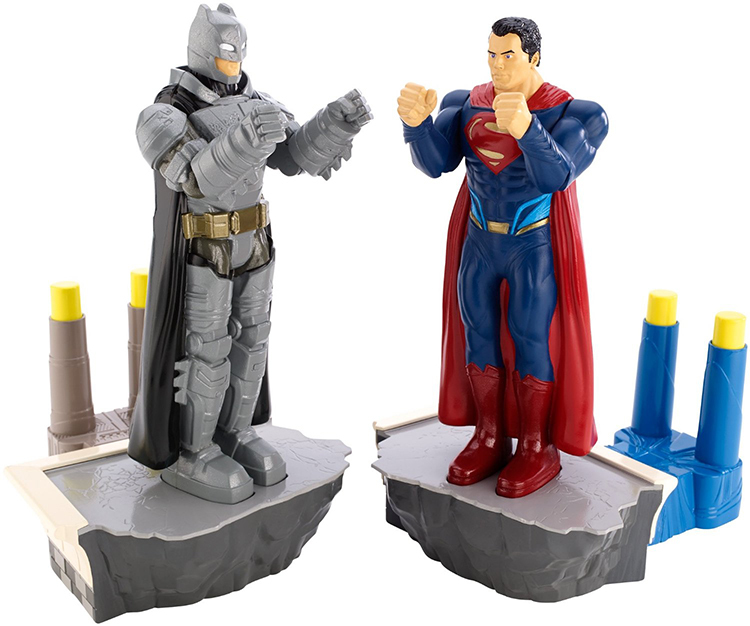 Today there are countless toys with some foundation in Rock 'Em Sock 'Em ideals. None are as recognizable as the original, but there is one name that I believe comes close. Post-World War II children’s toys progressed from very basic, cheap tin toys to more detailed, complex, die-cast toys and the popularity of wind-up and battery-powered functions. They were innovative and accessible, but primarily novelties to enjoyed alone with one’s imagination. For reference, even Battle Tops weren’t released until 1968 (as we know them today; similar predecessors have existed for centuries). Rock ’Em Sock ’Em Robots likely took inspiration from the robot- and fore-mentioned mechanized-toy crazes of the 50s. Red Rocket and Blue Bomber, the robots themselves, fit the era perfectly by combining big, bold appearance with simple, engaging function. The added layer of interactive competition set them apart, and several hundred thousand sales units ensured their place in pop culture. Over the decades they’ve undergone some shape- and size-makeovers. They appeared as space robots in the late 70s (inspired by the Star Wars craze), Transformers' Megatron and Optimus Prime, Batman and Superman on the heels of Dawn of Justice, and have been cloned countless times (to varying degrees of quality; offense intended, Robo Boxing) by other companies. 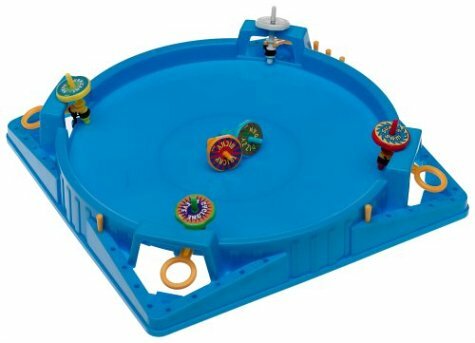 Falling somewhere nobly in between the original Rock 'Em Scok 'Em Robots, shameless clones and higher-tech evolutions, you'll find my personal favorite counterpart, Karate Fighters by Milton Bradley. 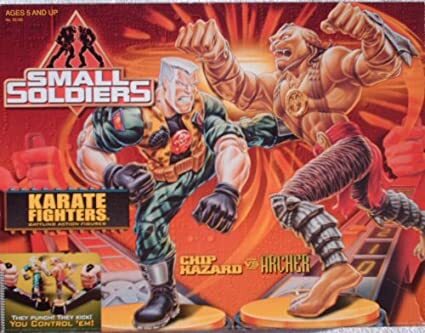 Debuting in the mid-90s, Karate Fighters truly embodied toys of the decade. It stars ninjas, monsters, mutants and cyborgs. 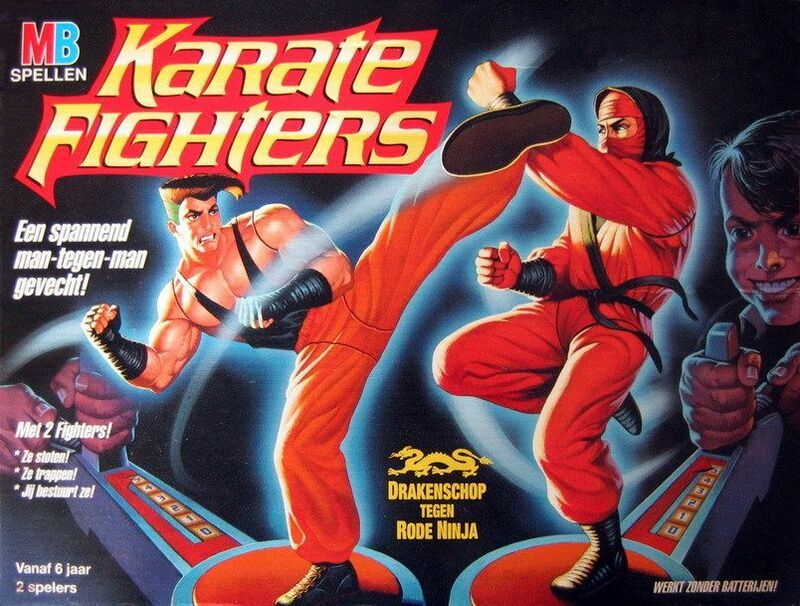 It features the words "karate" and "fighters" right in the bold, bright-yellow title, and the stand-mechanisms produce equally obnoxious, battery powered, generic b-movie ninja sound effects. Each pair of fighters comes with flimsy, interchangeable weapons and a comic book sharing a dark backstory and mysterious character origins. It's like the weird mutant offspring of Rock 'Em Sock 'Em Robots and Mortal Kombat. Perhaps their most notable feature is how they were marketed. Packed in tall, wide boxes featuring massive images of the contained characters throwing haymakers, they occupied a shelf-space that put most bigger Lego sets to shame. They were presented in corny commercials as wildly exciting, interactive collectible action figures. Naturally, you couldn't even collect them all without buying every publicly available set and sending in the UPCs. Their least notable feature is sadly their actual function and gameplay. Wildly alternating a knob (coming in a variety of poorly designed shapes) is wildly uncomfortable on the wrists and generally lacks finesse or strategy. The assortment of character fisticuffs and weapons are fun but basically useless as a well-timed roundhouse from the one free leg offers the best chance for success. Having separate stands from one another, as opposed to having both fighters share a ring, presents its own challenges. Non-dominant hands face the unenviable task of steadying the stand against the other hand's furious twisting. Certain models feature a handle and slightly better knob position at the back of the stand, but these models lacked the obnoxious karate-noises (a great trade-off, in reality). Karate Fighters did see enough success to spawn a few imitators of their own, most notably licensed variants from Kenner Products including Batman and Small Soldiers. There's no real contest here. The crisp-yet-functional appearance and gameplay of Rock 'Em Sock 'Em Robots, combined with their success and place in popular culture, ensures that they rightfully merit more attention in nearly every single context. However, every time I see those robots, I always think of Karate Fighters. The quirky assortment of big, hard-plastic characters make them excellent standalone toys and action figures, and collectibility and backstory make them engaging. Perhaps tweaks to function and design would've made the gameplay a positive asset instead of a painful nuisance, and release closer to the collectible-toy-line craze of the late 80s (and farther away from more remote control options in the late 90s) could've improved their chances at success. Or maybe not. Seriously, there were a ton of great toy choices in the 90s.